Twisther’s Grand Sire, Voltaire, is one of the most influential stallions of the KWPN. His versatility in breeding has produced many horses suitable for jumpers, hunters and dressage horses. Voltaire won many Nations Cup classes in his career, but his offspring have been even more successful. Voltaire had over 30 approved sons in the world, and he is found in the pedigrees of 28 jumpers of the 2000-2001 World Breeding Federation for Sport Horse standings. Voltaire was ranked 9th in the Federation’s top 50 sires for the years 1991-2000, and finished second in 1999 in the list of show jumping sires. 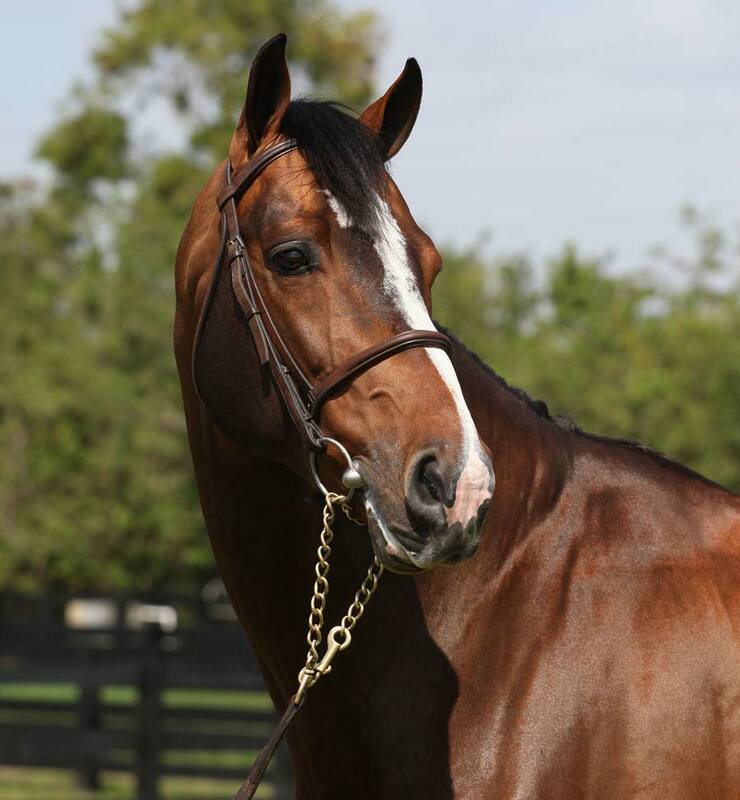 Additionally, Voltaire had the most offspring at the 1996 Olympic Games that any other stallion that year. Twisther’s Dam, Esther is an Elite, preferent, prestiate mare who jumped in the sport for a time before her breeding career, and has produced many offspring who have jumped at the upper levels. Her Sire Zevenster is a son of the great Alme Z. Alme Z is the only stallion in the world to have sired 2 World Champions and 3 Olympic horses. He has become known as the ‘ Father of World Breeding ‘ and was named the “ Stallion of the century”. Zevenster’s dam Sanseviera (keur pref prest ) also comes out of the famous dressage pedigree of Zini Van Wittinstein through the mare Fresia. This mare line has produced several top class dressage horses. Twisther is a beautiful stallion who possesses power, balance and strong technique along with an easy disposition and outstanding conformation. With a superb foundation in his pedigree, this stallion is a fantastic choice for breeders who seek traditional bloodlines for the modern sport horse breeding mares.